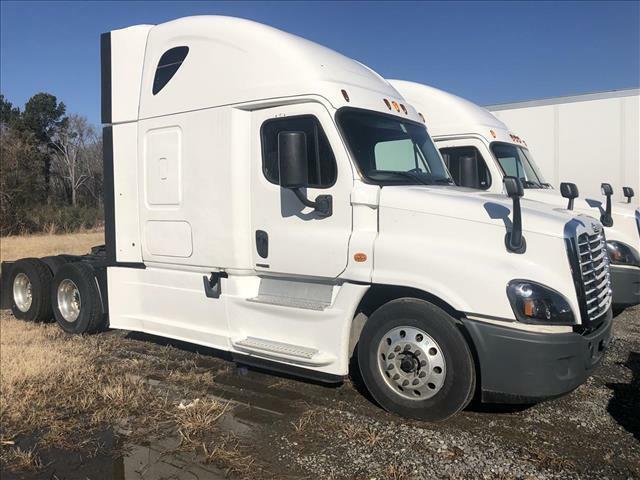 CASCADIA EVOLUTION Over the last 10 years the Freightliner Cascadia has proven itself to be one of the most efficient and profitable trucks on the road. Now they have stepped it up a notch with the Evolution. If you are in this business to make money, you can't go wrong with a Freightliner Cascadia. This one is equipped with power windows, power locks, power/heated mirrors, air-ride seats, tilt/tele steering, and wheel to wheel fairings. D.O.T. ready, fully serviced, and professionally detailed. 90 Day Confidence+ Power Train Warranty included. Extended warranty, Physical Damage insurance, 24 hour Road Side assistance, and financing available. We say yes when others say no. Call us today and let one of our friendly and knowledgeable sales consultants help you find the equipment you need.